Across all industrial sectors, the newly developed technologies are challenging companies to adopt new systems just to stay competitive. What’s more, the rise of a more sophisticated artificial intelligence (AI) has greatly impact several market areas as well. In China, for example, a tech company called KanKan created an AI system which can accurately monitor a restaurant employees’ hygiene with a 96% accuracy [Food Industry Executive]. It can also detect the employee’s level of cleanliness through a facial recognition system. So, if a worker fails to pass the company’s standards, then the system will print a report detailing the issue. And because of this amazing breakthrough, a few restaurant owners are now looking forward to implement such kind of technologies [Borneo Bulletin]. Now, it’s not just the food industry that’s benefiting from these technological developments. According to Bezinga, logistics companies also look for more innovative solutions in response to rising operation costs. Brokers also agree that communications systems should be optimised to reduce the distribution idle times [Bezinga]. Take a look at the case of Leonard’s Express Company. They took the initiative and partnered with Trucker Tools to improve their system productivity. They are utilising Trucker Tools’ Smart Capacity and Load Track software to efficiently manage warehouse capacity. One advantage is that the technology gives operators better visibility over freight movement and shipping data. Thus, their customers can expect timely delivery time and far fewer delays. Indeed, more companies are integrating different techs to improve their business. But, these technologies including software often require the use of industrial PCs with projected capacitance to further prevent delays. These devices were specifically designed to perform a variety of computing tasks for extended periods of time. This is to ensure that productivity and cost reduction in operations are met. But, what are projected capacitive touchscreen panel PCs? 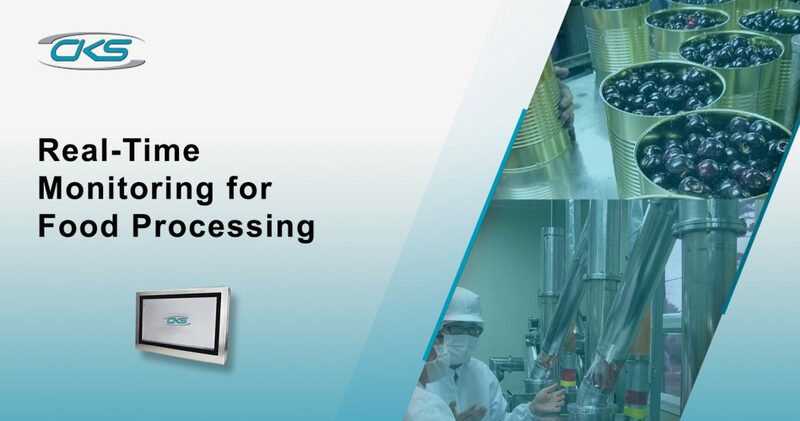 What are the benefits of using it for industrial processes? 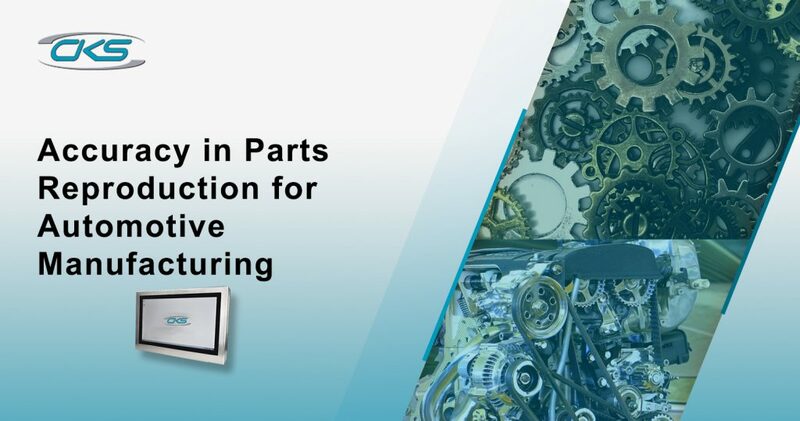 Find out more in this guide and learn why these type of computing equipment is crucial in various industrial applications. Industrial computers with touchscreen capabilities are crucial in industries that require constant operator-device interaction. It is to make sure that any industrial processes are performed effectively. But, computing devices with projected capacitance can enhance its efficiency due it its superior touch functionality. And, it allows the operators to manage and control the production processes in a rightful manner. But apart from capacitive touchscreens, there are also other types of touchscreen technologies that are being used for industrial applications. So, what makes a projected capacitive touchscreen different from any other touchscreen technologies? Here are the 2 major types of touchscreens available in the market today for industrial use. Early computer models with touchscreen capabilities featured a resistive touchscreen technology. Basically, this type of touch technology relies on the pressure exerted by the finger on the screen display, which triggers resistance. This resistance allows the technology in the display to respond, meaning, the greater the resistance, the faster it responds. Industrial panel PCs with projected capacitance technology has a multi-touch capability. Users can utilise this device without relying to the pressure exerted by the finger on the screen displays. This is simply because capacitive touchscreens easily respond based on the electrical properties of a human body. Therefore, users don’t have to exert more pressure just to perform a specific application on the screen. Thus, it is capable of handling advanced computing software which often require complex commands. Due to these features, panel PCs with projected capacitance are most notably used in the military, manufacturing, food processing, banking, and distribution sectors. Over the years, projected capacitive touchscreens are slowly replacing resistive touch technologies because of its innumerable benefits. Not only because of its superb touch functionalities but also because of its durability to withstand extreme working conditions. Here are some of the industries which take advantage of this technology. Military work environments are universally considered as one of the most physically stressful fields to work in. Missions are conducted in unfamiliar regions with varied climates. And most likely, it requires remote operations. 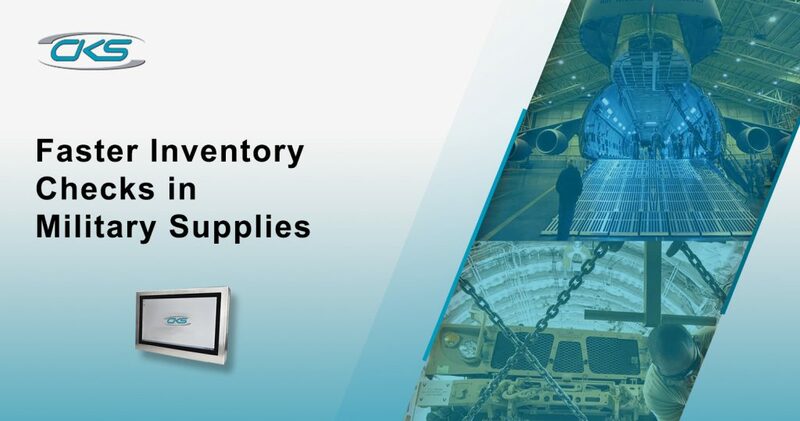 So, in this situation, there is no room for errors in the military logistics to make sure that each item is accounted for. With its existing work environment, panel PCs bearing projected capacitance are a technology must-have for the military. It features a shock-resistant casing which keeps the internal circuitry in place. This protective casing can also withstand fluctuating temperatures and prevents moisture from damaging the device. So, expect that it can function in different military operations even with constant vibrations due to transport. Technically, a successful automotive manufacturing depends on two (2) factors, namely: proper management and accuracy in reproduction. Proper management is achieved by consistent communication whilst accuracy in reproduction can be made by efficient monitoring. By utilising panel PCs with touchscreen capabilities, rest assured that manufacturing operations can be optimised. Siemens is working with a steel company to maximise the factory’s output and streamline the logistics operations using the Femap® software. This will allow engineers to design new products, enable managers to easily oversee the workflow, and make sure that workers are well-informed about company directives. Improving the current manufacturing system, however, requires the installation of a factory-wide computer network system that can also function in hazardous work environments. Also, manufacturing operations typically bear a high temperature due to the processes involved. An industrial-grade PC with projected capacitance is equipped with a Watchdog Timer. This feature has the capability to generate a system reset automatically in case of system errors. Therefore, operators can then find a solution to fix this issue and continue the manufacturing process. The food production industry follows a strict quality control guideline. Food technologists and QA analysts take extra precaution when dealing with raw food materials. For large scale production, operators utilise special equipment that can quickly sort through products. Rapid advances in computing technology paved the way for food processing plants to improve their operations. But, due to higher consumer expectations and strict food safety guidelines, these plants need to resort to automation. That way, production rate will be improved without decreasing the food quality. However, food processing typically operates in washdown areas. Industrial cleaning chemicals are used to prevent food contamination. Also, food processors are required to wear gloves at all times because of its rigid food sanitation guidelines. Since automation has become fundamental in an industrial setting, commercial-grade computers may not be able to perform such complex task. Dust, dirt, liquid intrusion, extreme temperature and vibration can damage a typical computer. These challenges may affect the production, productivity and overall quality of the processed foods. Fortunately, panel PCs are now being equipped with projected capacitance touchscreen technology. Since panel computers have rugged enclosures, it has the capability to withstand in washdown areas. Plus, using panel PCs with projected capacitance, operators can easily navigate through an application even with gloved hands. What’s more, such touchscreen technology are less prone to impact, dust, and dirt damage. Projected capacitive touchscreen panel PCs let operators easily navigate through applications. This type of screen easily and accurately responds to touch. So, even with gloved hands, operators can access and monitor automated functions. Food processing plants entail a fast-paced work environment. With a high global demand, facilities are expected to keep up with it whilst maintaining the quality. Since automation streamlines workflow operations, bottlenecks and backlogs are also reduced. Capacitive touchscreen PCs are more robust as well. A screen has a cover lens of flush Polycarbonate filter UV stabilised, making it more resistant to scratches. So, it offers better readability and functionality. In a fast-paced global setting, people are looking into more convenient methods to simplify their daily tasks. As such, establishments such as banks are resorting to ATMs to give customers a more efficient access to their finances. ATMs are viewed as a quick self-service machine where customers can easily complete certain banking transactions. 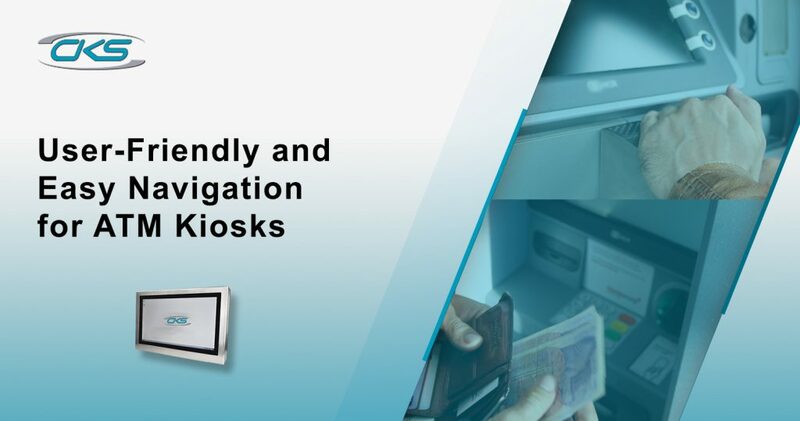 If the panel PC installed to ATMs are not suitable for heavy use, then it will cause backlogs and frustration amongst customers. So, how can banks effectively apply and utilise these efficiency to ATM kiosks? ATM stations are placed in high foot traffic areas for easy access. Simultaneously, several customers are also using the machine on a daily basis. Frequent usage, exposure to impact and scratch damage can reduce the lifespan of these machines. Also, ATMs are sometimes placed in outdoor areas. Hence, these are also susceptible to extreme temperature, dust, dirt, liquid intrusion damages. Readability may also be an issue if an ATM is placed in tough conditions. Users may not be able to carefully navigate the system because of screen glare or poor display visibility. This will result to longer waiting time and reduced customer satisfaction. 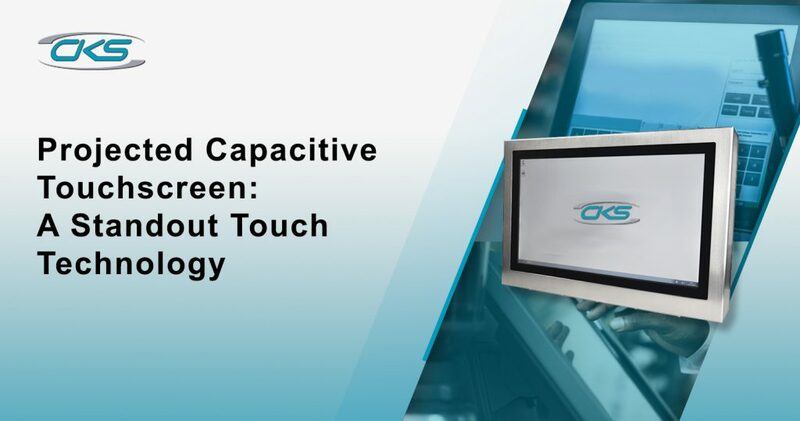 Capacitive touchscreens are sensitive to touch points and can even be accessed with gloved hands. It enables the users to utilise the desired applications into the ATM without putting too much pressure on the screen display. ATM kiosks are typically placed in high foot traffic areas and operate 24/7. These machines are exposed to damaging conditions as well including extreme temperature, impact damage, liquid and dirt intrusions. Fortunately, embedded PCs with capacitive touchscreens are built to withstand frequent usage. It is also designed with the highest degree of protection for a device. So, expect that this device is protected from harsh conditions and will continue to operate 24/7. Due to frequent usage of ATMs, the screens are more prone to scratch damage. This may reduce readability and functionality of the machine. But, an industrial PC with capacitive touchscreen is more durable. It is not only scratch-resistant but it is also resistant to dust and water ingress. 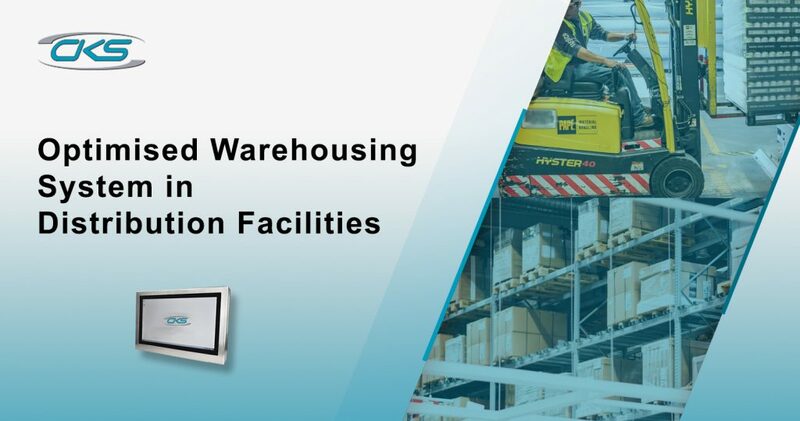 Distribution centres handle large amounts of data in real-time such as receiving order details, scanning and tracking the items, and transport of goods. This explains why an effective warehousing system is a must for a distribution agency. In a distribution facility, computing technology has become an integral part of operations which also bears a fast-paced environment. Harsh conditions such as impact damage, extreme temperature and vibration, and dust intrusion are also visible in the workplace. 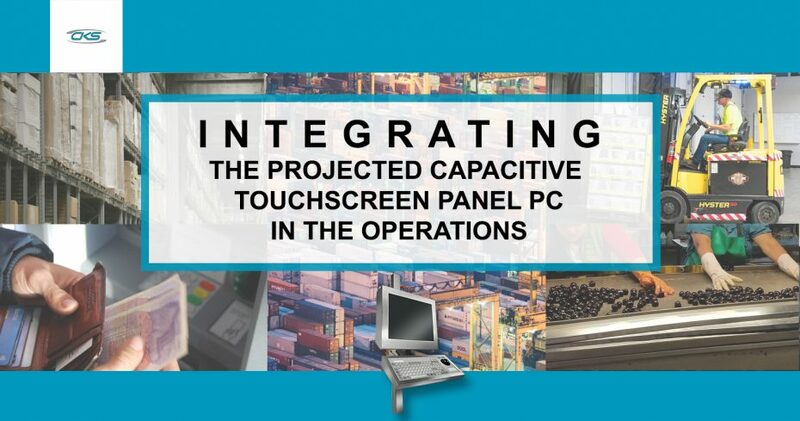 Installing an industrial-grade panel PC with projected capacitive touchscreen is an ideal computing solution for distribution. This computing device comes with multiple mounting options, providing more space for the operators to move easily. Capacitive touchscreen PCs also offers readability and clarity. Operators can have a better view of the images or applications installed in the system even with poor lighting condition or too much light. Hence, users can effectively perform any distribution operations by using advanced PCs with capacitive touchscreen technology. Industrial setting can pose several challenges when it comes to choosing the right computing technology. It needs to be durable enough to withstand the harsh environment conditions and extreme usage. This computing device should be easy to integrate in various workspaces. Industrial PCs with projected capacitive touchscreen are built for industrial use. It is designed to perform even extreme environments and 24/7 operations. Operators can efficiently streamline operations and, definitely, increase production rate and improve its quality. Contact (+44) 01438 747111 to learn more about panel PCs for your industrial needs.